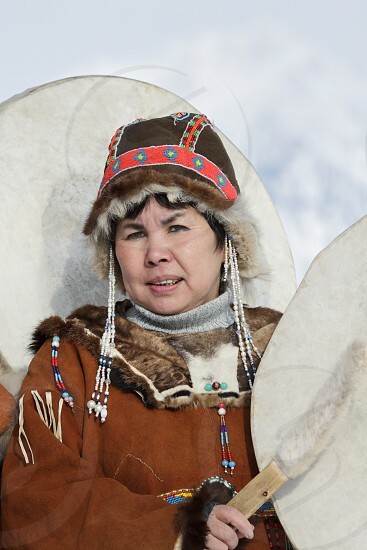 KAMCHATKA PENINSULA, RUSSIA - FEB 5, 2012: Portrait of woman dressed in Koryak national dress with tambourine. Public concert Koryak National Folklore Dance Group. Russian Far East, Kamchatka Region.